I got up on Sunday for my usual fry up, courtesy of my dad. After relaxing for a little while I set about working on My Week In Words. All in all the day was pretty uneventful. I chilled online, had my aunt Karen visit and took part in the Lifestyle Bloggers chat. I think the most interesting thing that happened all day was an old video my aunt Karen brought. 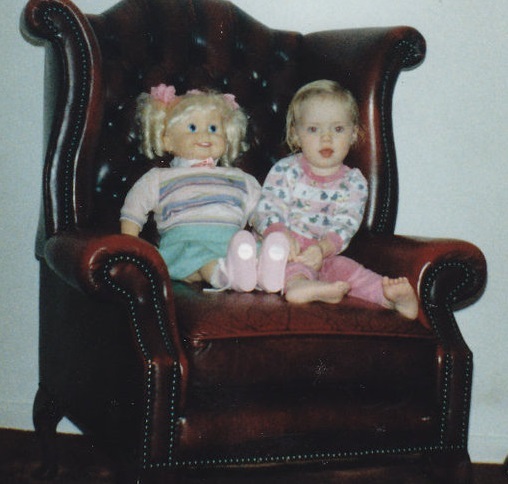 It had footage of me from when I was around two years old, which was before I was diagnosed. It felt so bizarre watching it, knowing at that point people didn't believe my mum that there was something wrong with me. We were at my grandparent's caravan and playing outside and I just stood in one spot the whole time, swaying like a small breeze might blow me over. While my cousin, my same age, was running around and playing. At one point my dad said to me "Sara, are you still standing there?" It's so painfully obvious that there's something not quite right with me. It really is no wonder my mum doesn't have much confidence in doctors to this very day. Anyway, the rest of the evening was spent sorting out some things in Rue's cage, having supper and then heading to bed. 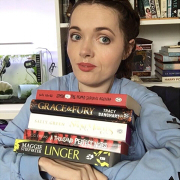 My Week In Words was posted on Monday, you can check it out here if you missed it. I got up for breakfast and was happy to find something crafty had arrived in the post. It's for a project I'll be working on and posting at the end of November. That's all I'm going to say for now. I caught up with some friends on Skype and my friend Bea was asking about my Etsy store and suggested I do a giveaway to help with promotion. 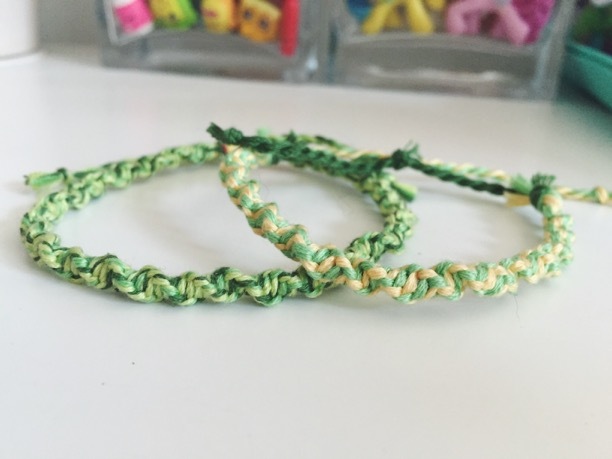 I thought it was a great idea so we're holding a custom macrame bracelet giveaway on our Facebook page. It's super easy to take part but it closes today so get on it fast! I'd really appreciate it. Later in the day I got the doodle bug. I haven't drawn digitally in quite a long time but every now and then I just get the urge to pick up my tablet and pen. I use PaintTool SAI to draw, if you're wondering. It's a great program and relatively cheap compared to others. 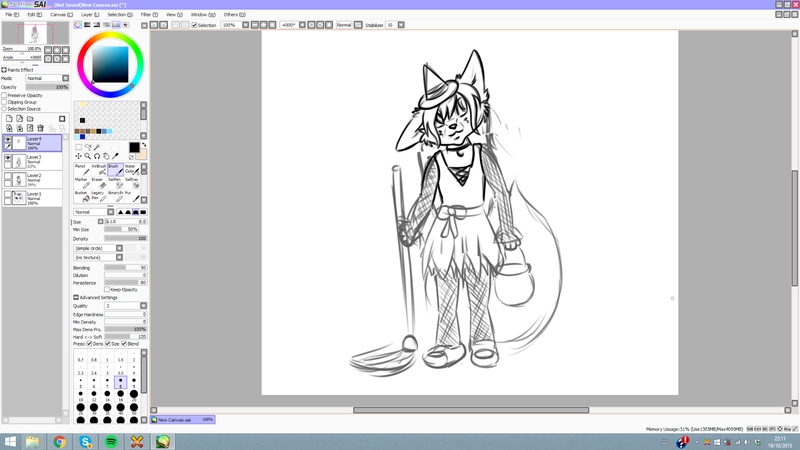 I doodled up something Halloweeny but I never finished it. Perhaps I'll get it finished up before Halloween and post one of next week's posts. Basically the rest of the evening was spent chatting and drawing before I had supper and went to bed. I was a little bummed out on Tuesday that by the time I got up Luca was being picked up, so I didn't get to see much of him. I need to start getting out of bed earlier on the day he's here but it's difficult as my mum is busy minding him. Eva was off but she'd decided to have a lie in too. When we both finally got up we had breakfast together. After some procrastination I cleaned out my snails, checked for eggs and gave them each a shower. By the time I was done it was time for dinner. I still hadn't figured out or started a blog post for Wednesday and the idea for an Arts 'n' Crafts post came pretty late in the day. 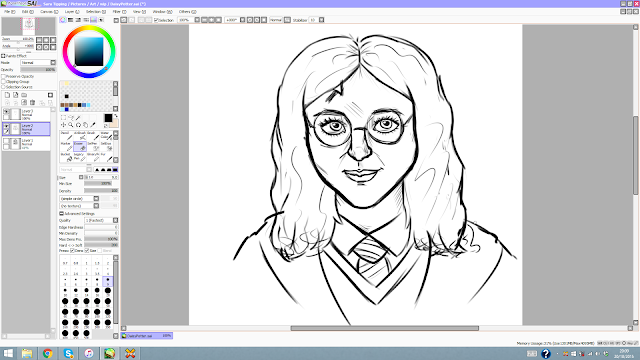 I decided to put my doodle bug to use and started work on a portrait of a fellow blogger. With Halloween coming up I decided to give it a festive twist by drawing her dressed up as Harry Potter! Rough sketch of Daisy of Prompts By Dee as Harry Potter. I spent most of the evening working on it while mooching around online. I was pretty proud of the final piece and decided that I'd do a couple more for the post. Since I'd ran out of time on Tuesday I decided I'd work on them on Wednesday and post a day late. 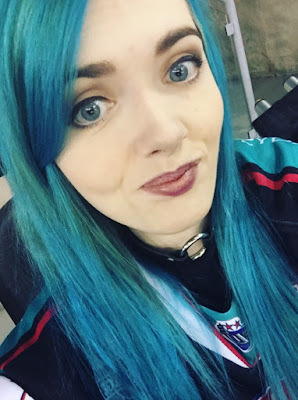 Wednesday was another pretty uneventful day, aside from the One Direction Belfast Giants/Sheffield Steelers fiasco. I'm not going to go into what happened because I don't want to bore either of us with the details. Here's just one of the many articles etc that was written about it if you are curious. I spent most of the day drawing and then in the evening put together my blog post for Thursday before bed. You can check out the Arts 'n' Crafts post and the three finished portraits here. Eva was supposed to be off on Thursday but had to work a few hours in the morning to make up for the fact she'd come home early on Wednesday unwell. My mum left for work around 10:30am and I decided to stay in bed like a lazy bum until Eva came home around 1pm. Eva made me breakfast when she got home and we both ate while watching Good Mythical Morning. 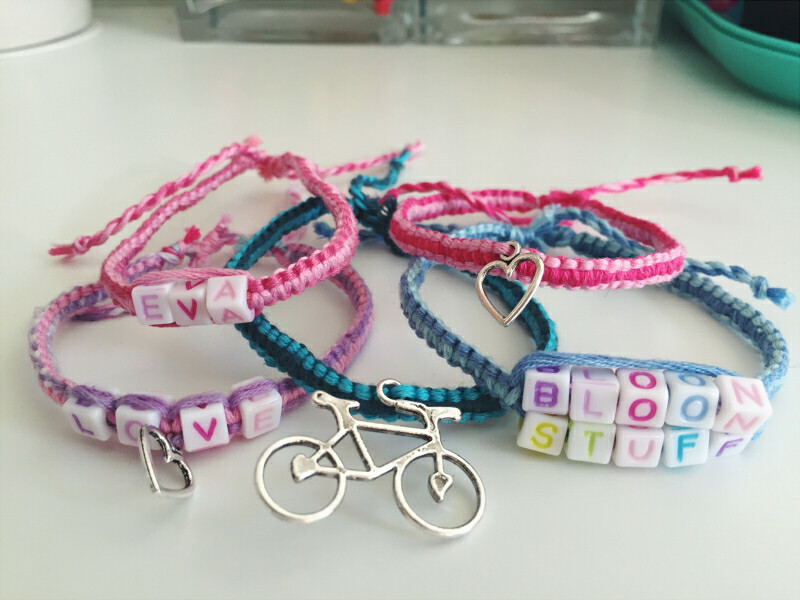 My Arts 'n' Crafts post was well received and the bloggers that I drew seemed to really like them. I think it's the most I've been nervous over a blog post. I took some notes for My Week In Words on Thursday and worked on some of my fiction a little but other than that I was pretty unproductive most of the day. Eva was off on Friday so she got me up for a pancakes and bacon breakfast. We watched the Hollyoaks Does Come Dine With Me from Thursday night while we ate. If you watch Hollyoaks you should check it out. I really enjoyed it during the week. A lot of the day I wasn't feeling great. I've been a bit low, which I'm totally blaming for my lack of productivity. 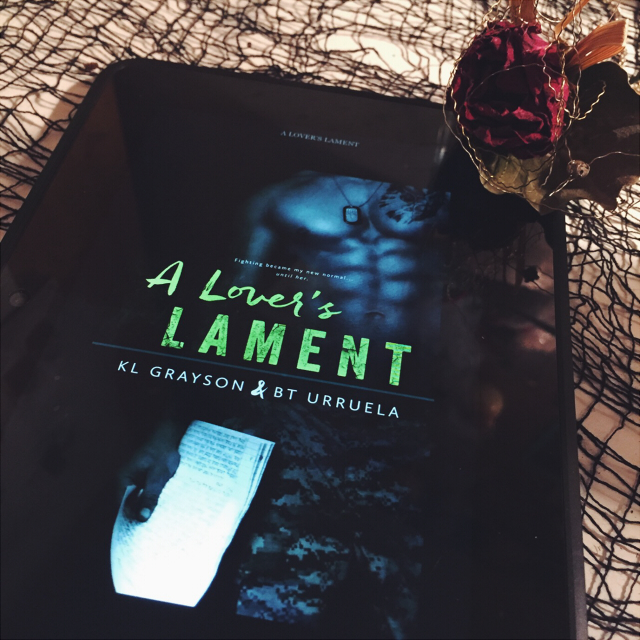 However, I did get a review for a book I read during the week, A Lover's Lament, written after dinner to post on Saturday. So the day wasn't a total waste. I mean I legit got my mum to bring me home cinnamon pretzel sticks from Auntie Anne's. Have you ever had them? They are so good but I digress, I was hoping the pain wouldn't ruin my evening at the game. I was all ready by 6pm when my aunt Karen came to pick me up. We were there by 6:30pm and I swear that's the earliest my aunt and I have ever been. It felt good not being in a hectic rush. Despite the pain I was in I really enjoyed the game. Probably the most I have in a while. Perhaps because I had been worried due to us having two player bans and injuries, thus being short benched but we turned it out. The atmosphere in the arena was great, which I think we have the whole One Direction debacle to thank for in part. I have to say I enjoyed the One Direction chants. To really rub the salt in Sheffield's wounds we came away with a 4 - 1 win. After the game my aunt dropped me off home. I was even more in pain by then and was looking forward to getting tucked up in bed with Edwin, but first I enjoyed some of my cinnamon pretzel sticks. A great way to end the evening and the week. I don't have any posts of the week this week as I didn't get any blog reading done. It'll be back as usual next week!